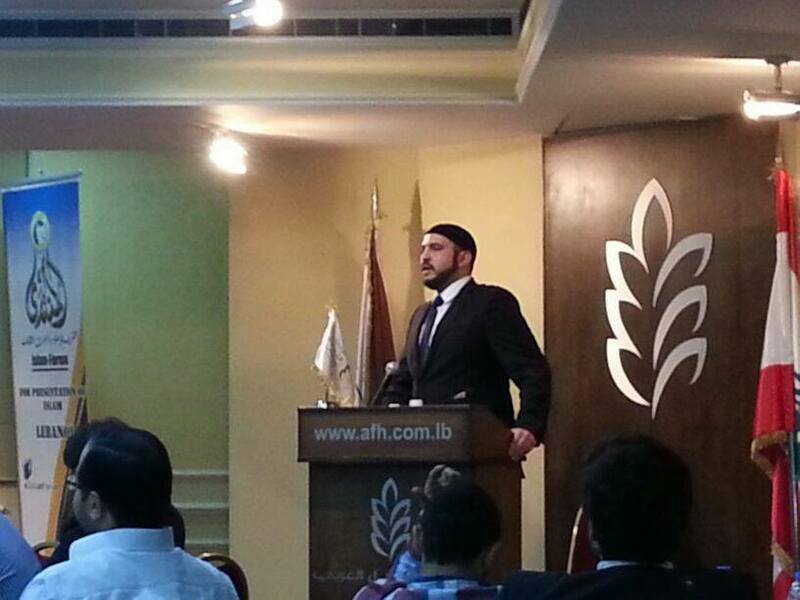 I have returned back from my Lebanon lecture tour (30th October – 3 November 2013) , and I must say it was both an amazing and valuable experience. The call to Islamic revival is centrally important for the Muslim world, especially now with the surge in Secularist violence and oppression occurring against Muslims there. I was honoured and privileged to be able to contribute my bit to the Islamic intellectual awakening in the Muslim world, and Inshallah (God willing) there are already plans for my next foray – coming soon. I was graciously invited and hosted by the amazing brothers and sisters of Al Muntada (Islam Forum), Al Muntada Tollabi, and Ettihad dawah organisations. They truly overwhelmed and humbled me with their hospitality, organisation, professionalism, dedication and commitment to the work of Islamic revival and dawah in Lebanon. Their members were intellectually engaged, open minded and educated (virtually all were professionals, or aspiring professionals) – and I was inspired to see the excellent work they were doing there. I was also honoured to meet a number of venerable Shuyookh (Shaikhs) there, including a visit to the Al Azhar Islamic seminary in the Bekaa valley. 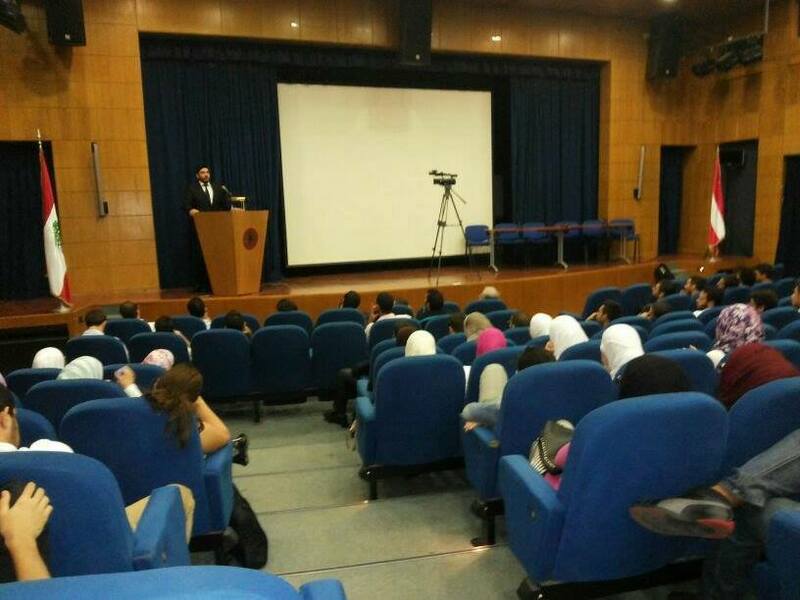 On Wednesday I had the lecture ‘Is Secularism the way forward?’ held at the American University of Lebanon (AUL), Beirut, organised by the Islamic student society there. The lecture was well attended and I gave a breakdown of secularism, including a simple refutation of the concept together with citing an abundance of examples of secularism’s failure in virtually all of the countries that have applied it (with the only exception being rich ex-imperialist states with majority mono-ethnic and mono-religious populations). 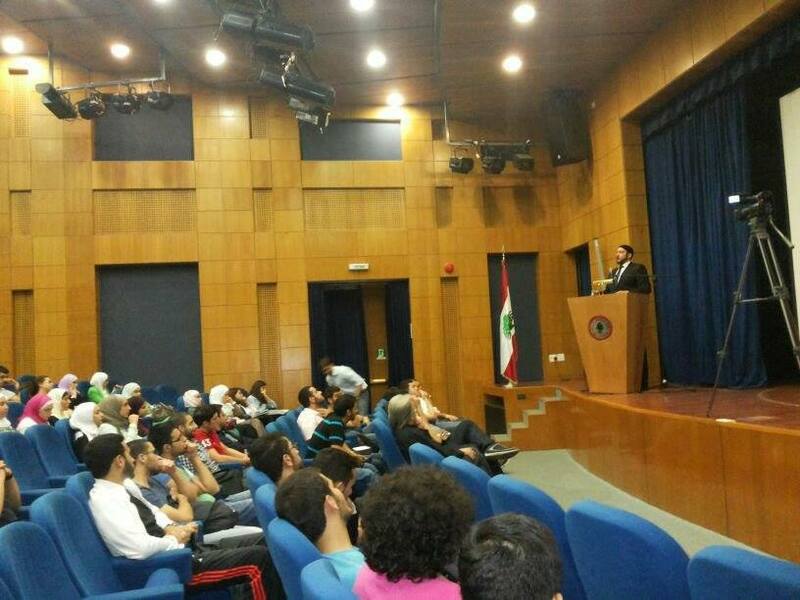 To the lecture title, the conclusion was an emphatic ‘no’, and the students at the university were able to appreciate the flaws of applying secularism that they could see with their very eyes around them, in that it never creates stability within multi-ethnic and multi-faith societies that constitutes the demographics of Lebanon (as well as other Arab countries). I posited Islam as a tried and tested solution and alternative. The lecture was very well received by the students, with questions consisting mostly of the practical implementation of the Islamic alternative to Secularism. One of the students (whom I was told was a member of the university’s secular society) asked me how it was possible to implement an Islamic state (Khilafah) without the West getting the bad impression of Muslims from doing so. I found this question very telling of the post-colonial mentality that still lingers in the minds of some Muslims in the Middle East. My response was simple, manage our PR, but remember that the West is intolerant of all systems which are not Liberal or Secular, so we should not be too concerned with what they think –just do your best. The West (and Secular Arabs) like to think Iran is backward because it is ‘ruled by Mullahs’, yet it is one of only ten countries in the world with its own fully complete and independent Space Program! (despite being under sanctions). So the media depiction of a country can always be deceiving. My lecture in Tripoli for Wednesday late afternoon was ‘How can the middle east achieve Freedom?’. Unfortunately it had to be cancelled by the organisers due to escalating violence in the city between Alawites and Muslims – a spill over from the conflict in Syria. I’ve never had a lecture cancelled due to a gun battle before! where Muslim youth activists and dawah carriers could ask any questions on critical thinking, Islam, Dawah, apologetics and refutation. I ended up discussing the Miracle of the Quran in the Arabic language, using the study of linguistics. The discussions were very beneficial, and allowed me to discuss a diverse range of topics. 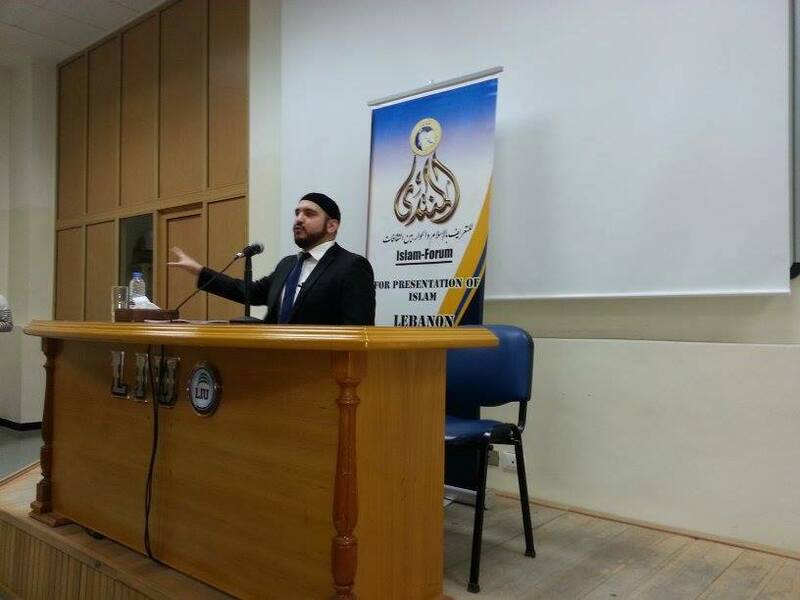 The next day on Thursday, I had a lecture at the Lebanon International University (LIU), Bekaa valley, on ‘Does Islam need reformation?’, where I showed the absurdity of the question, and I explained to the students how technology may change, but human nature and problems do not change. Therefore systems do not need updating, only the technological means of implementing them. A funny – but true – fact I told the audience, was that Islam is actually newer than democracy (which is 2,500 years old), and can provide solutions which are universal and timeless. 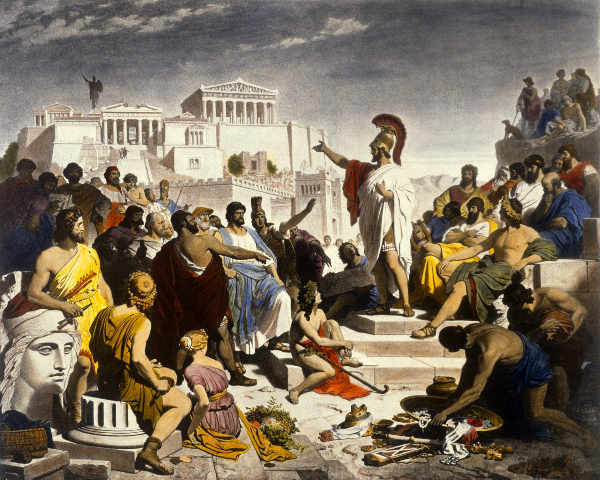 Pointing out that Democracy was actually a full 1,000 years older than Islam, yet Islam was condemned as outdated, and Democracy wasn’t, created a palpable ‘ahaa’ moment amongst the audience. The look of shocking realisation on the faces on the audience was priceless! Needless to say, I spammed that fact in virtually everyone of my lectures afterwards. It’s a fact that really needs to be disseminated widely. It’s these simple facts that really need to get out there in the general public – many of the university students and others told me afterwards that they never knew Democracy was that old, they always imagined it was a new invention. Suffice to say, my lecture was an eye opener on these simple facts. The students were very receptive to the solution of reviving Islam and bringing back the Khilafah, instead of reforming Islam to fit the status quo. Islam had always been a reforming project for mankind, not one that is reformed by them! In addition to deepening their knowledge about Islam, I also urged the students to diversify their studies and broaden their understanding of the world by studying other subjects, for example studying history, sociology, maths or psychology at least on an introductory level, if they weren’t already studying them. The point behind this was, in order to reform reality, one must understand what one is reforming, as well as understanding one is reforming it with. Furthermore, Muslims must ignite curiosity for the natural world they live in, for it was created by God, and the Quran commands us to reflect upon it as an ‘ayat Allah’ (signs of God). That evening I journeyed back to Beirut to give a lecture at Lebanon’s (in)famous American University of Beirut (AUB), on the ‘Evidence for God’. After I had refuted the use of emotional subjective spiritual experience, logic and scientific methods to come to an awareness of the existence of God, I made my argument for rational thought as the basis for all thought, and the only reliable way to come to a conclusion based upon observed evidence. standard discourses we hear from many preachers. I didn’t oblige her however. My argument may be simple, rational and straightforward, but what it lacked in emotional embellishment, it more than made up in being easy to use and irrefutable. 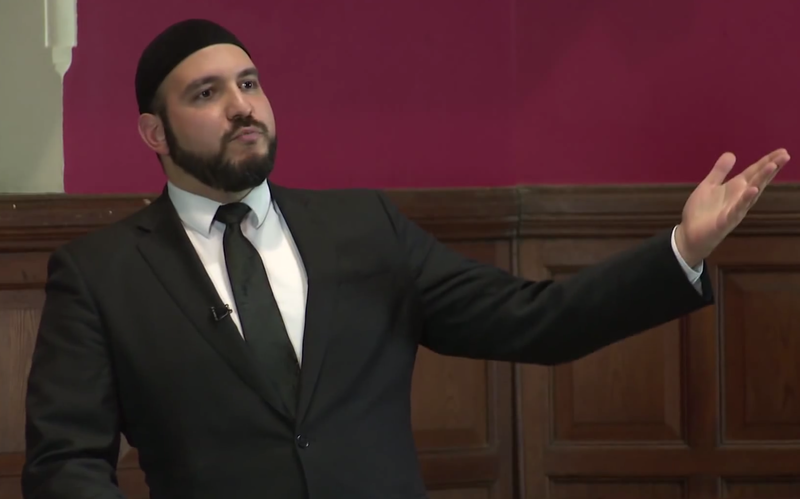 I absolutely loved this lecture, as I told the audience from the start to attempt to refute my argument, find any hole in it, or any contradiction. This made the questions and answers session really entertaining, and I was asked questions covering everything from the multi-verse to Islamic theology and philosophy! At the end, the argument for God, and the Islamic conception of God was crystal clear and sharp in everyone’s minds! Some of the Atheists in the audience tried to argue against a design argument, which I never used. They were dumbfounded that I had not used the standards arguments they were used to hearing. Suffice to say, I let everyone come back at me after every answer I gave. I simply wasn’t leaving that hall until all objections had been answered to the satisfaction of the questioner. The question and answer session went on until the audience had run out of queries. I’d like to thank the AUB Islamic society for letting the discussion be extended, but a proof of God lecture that people could walk away from having all their contentions, problems and queries answered, is a success by any measure. 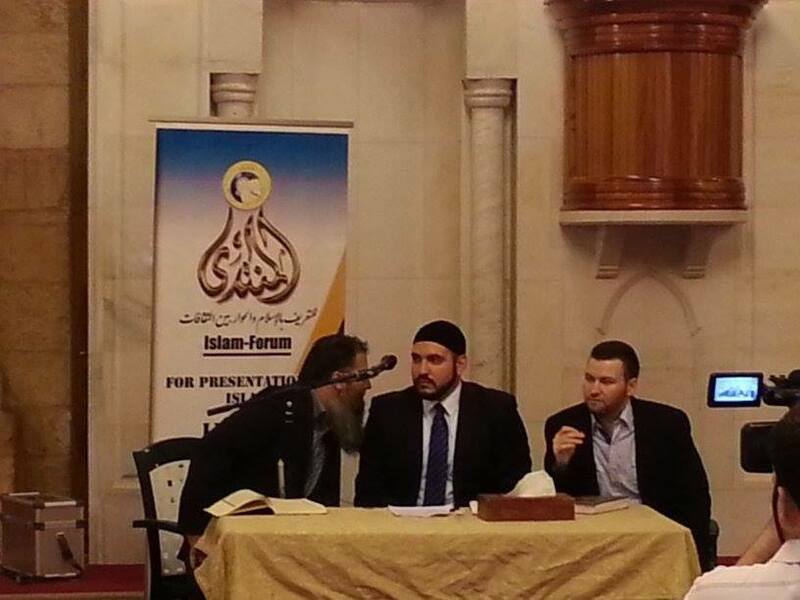 Friday saw the beginning of a two day workshop at the prestigious ‘Arab Finance House’ hall in Beirut, which saw invited guests from youth dawah groups, community workers, members of political Islamic parties and professionals come to learn and share their knowledge and experience engaging the subject of Secularism, and misconceptions against Islam. Day one featured a workshop on ‘Refuting Secularism’ looking at the arguments for secularism, and examining them critically, and how to give counter-arguments based upon observation of the reality of Secularism, and the many failed examples of its implementation. I shared with the audience a brief history of Secularism, and explained how the West created Secularism as a response to their own mis-identified historical baggage. Unfortunately, the West believed everyone around the world suffered from the same malady as them, and needed ‘liberating’. I then asked the attendees to relay to me the most commonly argued reasons for Secularism in the Middle East, and followed this by a systematic refutation of these myths using facts, and intellectual scrutiny. The audience reported it was beneficial, and they took notes, with some asking me to write up my arguments (as they didn’t want to miss anything I had said regarding the topic). On Saturday morning I attended a live, and a second recorded interview with Fajr Radio, Beirut. I was asked questions about my conversion to Islam, how Muslims live in the West, and the future for Muslims and Islam in the Muslim world. 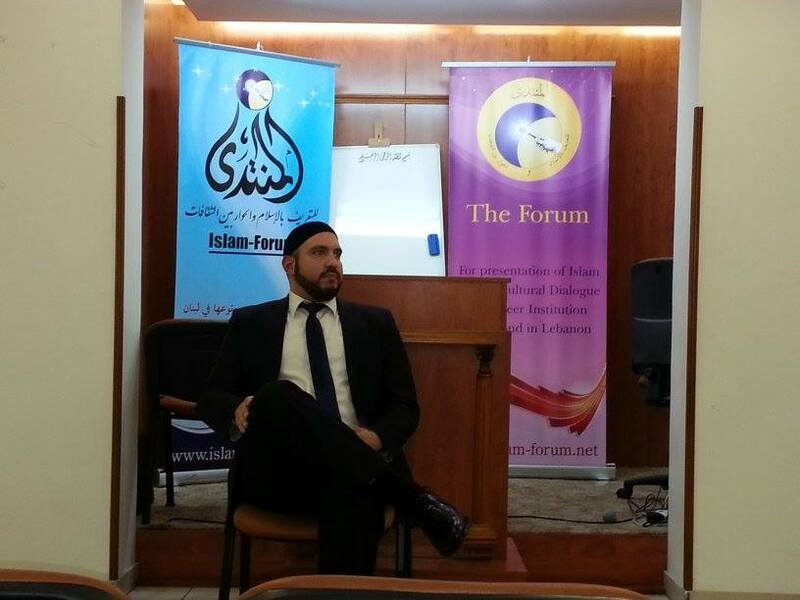 On Saturday afternoon, I hosted the second day of the two day workshop, and continued the program and featured looking at the common arguments and misconceptions of Islam, and how they can be refuted by the actual reality of Islamic thought, and knowledge of human psychology and sociology. The aim wasn’t just to defend Islamic ideas and principles, but to also demonstrate how West political philosophy and systems was fundamentally flawed. I asked eight top controversial questions about the Islamic sharia, political system (Khilafah), and rulings, and asked attendees to explain how they would defend these concepts. The discussion brought up the contentious issues of such as Hijab, Jihad, women’s testimony, Islamic view of homosexuality, slavery, and the hudood punishments. I was very impressed with the depth of study and ability of the audience to provide cogent answers. After I collected the answers from the audience, I merely filled in the gaps, improved some arguments, and compared Islamic solutions to weak and contradictory aspects of the Western political system. There was a lot of contributions from the audience, and people reported afterwards that they found the session to be useful and stimulating. 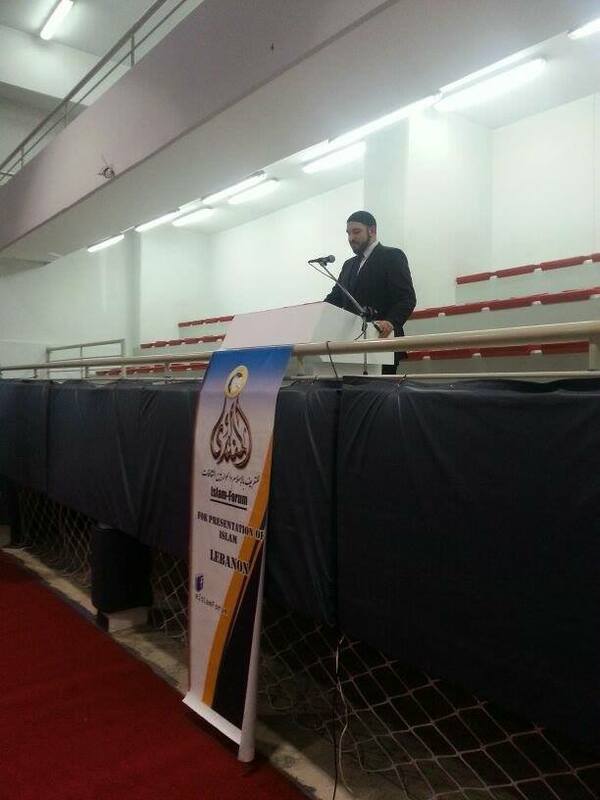 On Saturday evening I gave a lecture in the stunningly beautiful (and large) Rawda mosque, in Saida (Sidon), Lebanon. The lecture was titled: ‘My Journey to Islam’ talking about the purpose of life, my story of my conversion to Islam, and the need for the Muslim world to re-discover this purpose, and comprehensively live by this purpose again . One gentlemen commented in the Questions & Answer session ‘I am amazed, how a convert talks about the need for Caliphate (Khilafah), when many born Muslims are ignorant of it’. The audience where full of questions about my experiences as a convert in Islam, and they thanked me greatly for the lecture. I of course, thank them dearly for their enthusiasm and amazing hospitality both before and after the event. 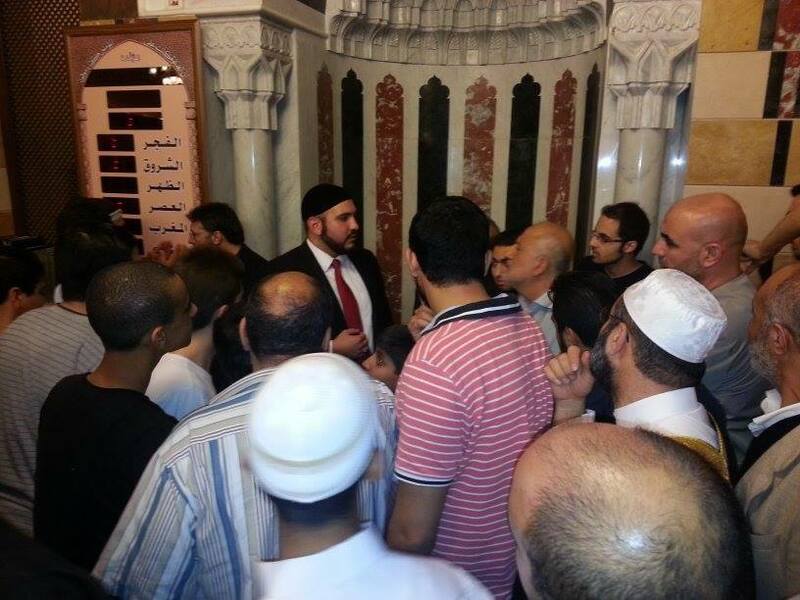 My final day, Sunday, saw me attend the beautifully old and resplendent Omari Mosque in Beirut, where I presented the topic ‘The Purpose Life’ to the attendees there. I discussed how the Muslim world had lost it’s purpose, and how most Muslims were merely blindly following the culture of their ancestors without intellectual depth in their understanding of it, nor deep thinking in their understanding of the world. I urged the attendees to ponder and reflect over their lives, and re-establish Islam as the dynamic intellectual basis of their thinking, and the Islamic system as the structure and direction of their society again. My final presentation was a good success, and was warmly received. I was hoping to find a secularist in the audience to contend with me, but the attendees, although asking for more information and clarifications, were warmly receptive. I would apprise the reaction to my lectures as one where my arguments were warmly received, but the ideas and concepts I called to were recognised and not alien or new to the listeners. Understandably, the Muslims of the Muslim world have a deep love for the sharia, the Khilafah system and the solutions islam offers, but have been so beleaguered by Western criticism, post-colonialism and pro-Western Secularist polemics, that a robust intellectual defence of Islam is rarely given a platform amongst the established mass media outlets. Of course, I didn’t just want to demonstrate the superiority of Islamic ideas and solutions, but also demonstrate to the Muslims of Lebanon the fatal flaws, weaknesses and double standards of Western ideology. I noted that although some Secularists did attend some of my events, none could find any counter-argument to the clear points I made. I find Secularists in the Muslim world to be pale second-rate copies of Secularists in the Western world – of whom I debate and refute. I guess I shouldn’t be surprised at the even worse intellectual bankruptcy of the Secularists in the Muslim world – for the servant cannot surpass the master, and the ‘master’ was pretty weak to begin with. My trip to Lebanon was busy, but I managed to steal away some time to go to a nearby beautiful area called Jubeil (Byblos) which happened to have an old Christian Crusader castle there. I like castles, and as probably those who know me by now have seen, when I go to visit my family in Portugal, I visit the old Muslim (‘Moorish’) castles there. There’s a strange symmetry to this, as I seem to visit Muslim castles in a Christian country, and Christian castles in a Muslim country! communities, but divided in its self-identity. Part of Lebanon wanted to be a European country, the other part, an Arab country. Christian areas spoke French in addition to Arabic, and seemed to gravitate more towards Europe. The Muslim populations of Lebanon were regularly self-censoring themselves, and I heard that criticising Christianity or debating it was very problematic there. I met two Muslim friends there who had converted to Islam, but they couldn’t publicly declare it for fear of their community. 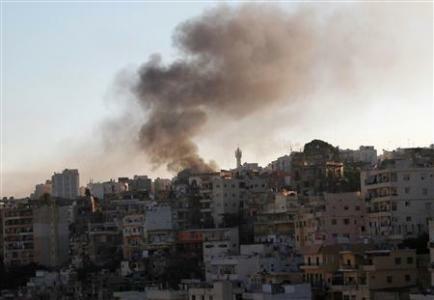 I didn’t expect that from a majority Muslim country, but such is the nature of Lebanon. It is funny how Secularists believe Secularism can unite people, but since the implementation of a secular state, Lebanon has been more divided and embittered now, than it ever was. Any historians studying the history of the Christians, Muslims and Jews under the Islamic Caliphate of the Ottomans, would notice that community strife is a very ‘modern’ occurrence in Lebanon – thank you secularism… But of course, Secularists never let small things like historical facts and evidence get in the way of a ‘good’ dogmatic blind faith in Secularism. The hospitality, down to earth nature, and humility of the people I encountered in Lebanon was overwhelming and deeply humbling. I have made many good friends there, nay brothers, and although I maintain contact with them, I miss spending time with them all deeply. All the lectures were recorded by Al Muntada, who have assured me that they will upload all of them (possibly with Arabic dubbing and/or subtitles). Hopefully, these videos will form part of MDI’s growing Arabic language work that will be accessible to Arabic speakers across the Middle East.